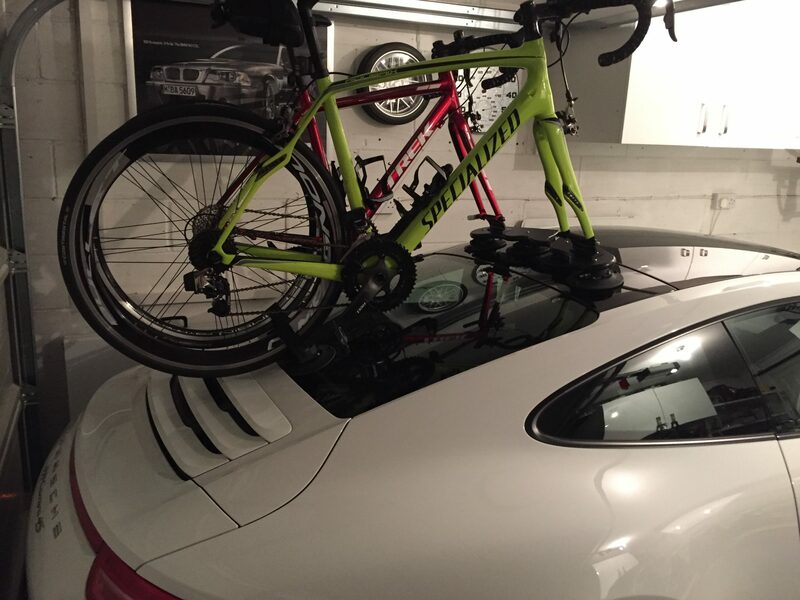 James is based in the UK and purchased his SeaSucker Mini Bomber locally to be used as a Porsche 911 Bike Rack. His main concern was the full glass roof on his car. 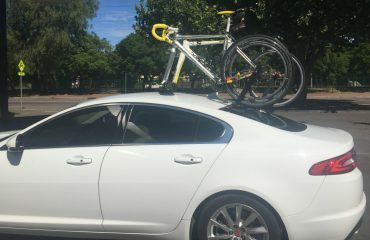 We have installed SeaSucker Bike Racks on other cars with a Full Glass Roof, like the Alfa Brera and Hyundai Veloster. 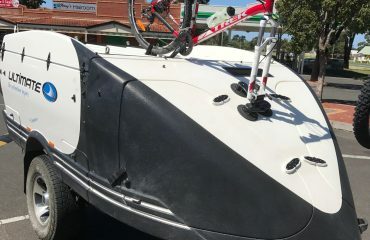 In general mounting SeaSucker Bike Racks onto sun roofs or vehicle’s with a full glass roof is acceptable. The vacuum mounts work just as well on glass as they do on steel or aluminium. Angle the bikes towards each other – Aesthetically having both bikes in parallel is the preferred option. 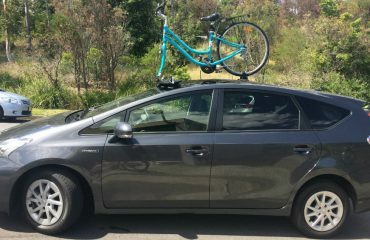 By moving the back wheels closer together it shortens the overall bike length relative to the car. This was one of the more challenging requests we have come across. 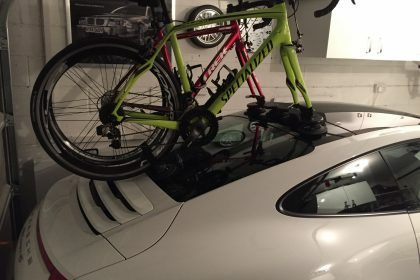 Hopefully, the tricks we employed will help other customers looking for a Porsche 911 Bike Rack will help them get the most out of their SeaSucker Bike Rack.